You probably have heard that by now - the OnePlus 5 is going official on June 20, succeeding the OnePlus 3T as the company's best-spec'd device. With powerful internals in tow, namely a Snapdragon 835 and supposedly some 8GB of RAM, the fifth flagship iteration will also boast dual cameras at the back, as is trendy these days. Recent rumors suggest that OnePlus has not gone for a wide- or a telephoto secondary camera, but for a monochrome one. Why would OnePlus want a monochrome camera that only shoots in black and white on its OnePlus 5? Simple, the monochrome sensor is most likely more sensitive to light and finer detail, allowing the phone to combine the sharper monochrome photos with the ones taken with the regular color sensor. In theory, the resulting image should end up more detailed than what you'd get from a single RGB camera. 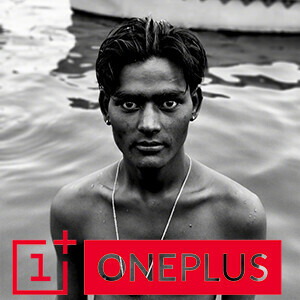 OnePlus CEO Pete Lau is certainly pouring lots and lots of oil into the fire of speculation as he recently uploaded a rather appealing black and white portrait of a young lad. The most important part is that the photo itself is shared from a OnePlus 5 device, which is non-ambiguously confirming that the phone will most definitely boast a monochrome secondary camera. As a reminder, Huawei was among the first well-known phone manufacturers to come up with such a camera setup - courtesy of a collaboration with Leica, Huawei's P9 and P10 flagship carried dual cameras at the rear, one monochrome and the other one a regular RGB shooter. You can check out the latest image taken with the OnePlus 5 right below. Oh, and by the way, it's not the first one we've been treated to - you can check some of the older ones in the gallery beneath as well! Oh my god .. GOOGLE , SAMSUNG AND HTC .. you are about to have a really big trouble , yeah you have done with iPhone.. but guess whos the next ? Apple always got people competing over something stupid. What does Apple have to do with anything since they weren't even mentioned? I doubt the op5 has a dual ff camera tbh. This one might have been taken with the rear camera. Sometimes people forget that the rear camera can as well be used for portraits too. I haven't seen any good class leading result from RGB+BW camera. It is better than single sensor in theory so far. Samsung and Google both are ahead with a single sensor and Huawei even with a Leica's help is behind. "Recent rumors suggest that OnePlus has not gone for a wide- or a telephoto secondary camera, but for a monochrome one." Considering the oneplus is likely to be very similar to the Oppo R11 with its telephoto second lens I think you are way off here. The first lens has a F1.7 which helps with low light, the second has telephoto for portrait shots and for getting closer to a subject (makes sense with the focus on what matters ad).